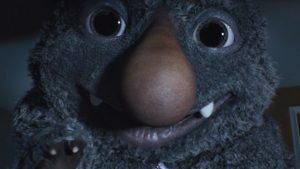 Christmas Adverts- Monster Under the Bed or The Elephant in the Room? Have audience's grown tired of the race for Christmas advert number one? “It’s here! It’s here!” The cries called out across UK households this morning. School jumpers hovered half on, spoons of cereal hung suspended and mugs of coffee paused mid sip: it was here. The John Lewis Christmas advert was here. 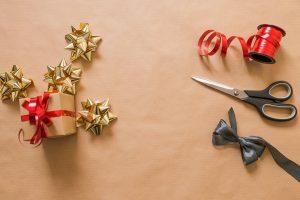 Such is the excitement surrounding the launch of the department store’s annual Christmas offering that it almost eclipses the main event itself: or so the PR machines would have us believe. Since John Lewis delivered us the gift of the Christmas Advert way back in 2011, UK audience’s have been treated (or for, the cynics amongst us, subjected) to an ever increasing onslaught of advent advertising that attempts to pull on our heart strings and prize open our purses. Every year we see retailers leapfrogging each other in an attempt to one-up on the sentimentality. 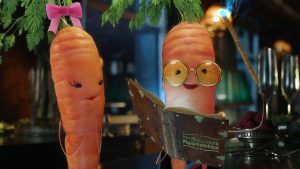 From frolicking forest animals to little pink boxes, careless cats to bouncing boxers and a whole host of household hospitalities in between, the Christmas ad breaks have left audiences positively stuffed with sentimentality before they’ve even had chance to break open the tin of Quality Street. This year is no different. Cue the latest John Lewis Ad. Moz, The Monster under the bed, is a true Chimera. Traditionally a female hybrid from Greek mythology, the Chimera has come to represent any imaginary monster made of incongruous parts. Moz, with his funny farts, nice amount of naughtiness and touching thoughtfulness is entirely made-up of family-friendly elements. His constitution is Christmas. His very fabric is the winning formula for festive cheer and audience tears. But this year, something has changed. Looking across Twitter, the response to John Lewis’ Christmas Chimera is a little less than chipper. It appears that audiences have grown tired of, or, indeed, grown smart to, advertisers ways. Using emotion to sell is hardly a new phenomena. Many well documented studies have highlighted how emotions can often out-do information when it comes to product purchasing and a brand’s “like-ability” plays a tremendous role in consumer engagement and loyalty. However, the response to John Lewis’ latest offering suggests that audiences are suffering from ad fatigue. A recent study by LSE highlighted the troubling growth of compassion fatigue felt by audiences when viewing charity advertising. The results are no different in the corporate word. The problem with the recent flurry of festive adverts is that they have become a victim of their own success. We may all enjoy a mince pie with a generous glug of cream at the start but, after your 4th, 5th, 6th round you’d happily never see another pastry covered abomination again: the same goes for advertising. Having uncovered the “winning formula” to get audiences talking and tear ducts trembling, companies have continued to follow the same method, repeating it ad nauseam. The result? Audiences have had enough. Agencies must remember that, in raising the bar, audiences come to expect more, not the same. There’s only so many time you can re-package a product before people become wise to your ways (take note, those of you thinking of re-gifting those unwanted socks again this year…). Perhaps the time for tender tenderings has passed. Aldi appear to be procuring praise with their rookie root veg, Kevin the Carrot. The humorous little houmous accompaniment is emerging as a clear winner with audiences. Employing wit and subtle pop-culture references has ensured that the crusading crudités is top of the Christmas crop. The response to the John Lewis advert sends out a clear message to companies and agencies alike, one which transcends Christmas into approaches to everyday communications and brand strategies. No mater how beautifully wrapped the box, if you want to retain an audience’s interest, you must continue to think outside of it. It will be interesting to see whether companies and ad agencies heed this years audience feedback and, even more so, whether audience dislike translates to consumer withdrawal. Whatever happens, commentators and audiences alike will be keeping a close eye on next years offerings to see what, if any, lessons are learnt. Whilst ensuring customers feel emotionally invested and connected to a brand is a strategy that will not, and should not, be rejected anytime soon, companies must ensure that they do not over egg (nog) the emotional pudding. What are your thoughts on the use/ over use of heart strings in advertising? Get in touch– we’d love to hear your thoughts!